A quick announcement and an invitation: We recently started a project to make old news new again. Every so often, you'll see a post from us over at QUEST, public broadcasting's award-winning series on science and sustainability. We dig into the science of our stories from over the years and look into the latest research. Today our topic is coal tar. Robert's first story about that gooey asphalt sealant led Washington to ban it. That was 2010 and it was the first state ban in the country. (Last year Minnesota joined Washington in passing a ban.) Yet every year about 85 million gallons of toxic waste known to promote cancer are still carefully painted across about 170 square miles of American cities and suburbs. So please join us. We'll be over at QUEST today making some old news new. 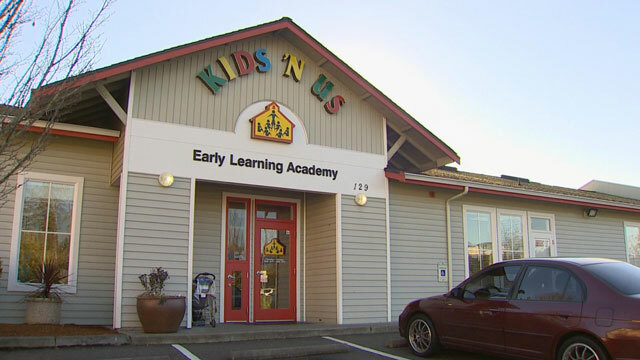 Thursday night's newscast from our partners at KING 5 examined heath risks from traffic pollution that toddlers and preschoolers may face at day care. More than 100 child care facilities located dangerously close to a major road, InvestigateWest reported yesterday. In the map above, high-traffic routes carry at least 50,000 vehicles per day, according to WSDOT data. T-1 truck routes carry more than 10 million tons of annual freightage. T-2 truck routes carry more than 4 million tons of annual freightage. Kids 'N Us day care in south Everett borders on an off-ramp of Interstate 5. It’s a cruel fact of physiology: kids are the hardest-hit victims of air pollution. Pound for pound, children breathe more than adults, receiving a relatively bigger toxic dose delivered to their developing bodies. And the smaller the child, the bigger the impact. What makes an 8-year-old cough could make an infant stop breathing. That science takes on particular significance in Washington, where 126 day cares are located beside major roads and where rules about where new facilities can open are not enforced. Researchers say air pollution from vehicle traffic can aggravate asthma, reduce lung function and boost school absenteeism, as well as promote cancer later in life and harm developing immune systems. 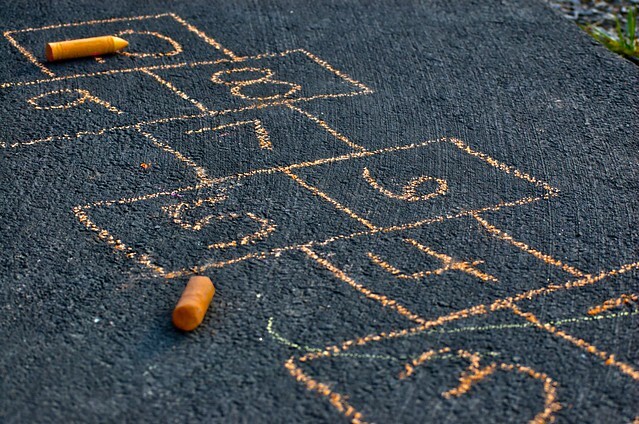 An additional 439 day cares sit within 500 feet of the state’s heaviest truck routes, a new analysis by InvestigateWest shows. The diesel fuel that powers these trucks can spew 100 to 200 times more soot than gasoline engines, and the exhaust is so toxic that the World Health Organization classifies it as a carcinogen. Nationally, more than 11 million children under 5 are enrolled in regular child care. In Washington, one-fourth of all toddlers and one-third of all preschoolers attend a licensed child care facility, according to a 2008 survey. Joel Kaufman, director of University of Washington’s Occupational and Environmental Medicine Program, has spent years studying the connection between traffic pollution and cardiovascular disease. He said the Northwest suffers from acutely low awareness of near-road pollution risks. The third installment in our trilogy of fish stories by Lee van der Voo appears in the Dec. 9 issue of High Country News. "KAKE, ALASKA — Henrich Kadake remembers when halibut was king in this mostly native outpost on the remote coast of Kupreanof Island, a hundred miles south of Juneau." So begins Lee van der Voo's newest reporting on federal policies that created private fishing rights for the fisheries in the northern Pacific Ocean two decades ago. Those fishing rights, or quota, have restored the health of the fisheries and created an economic boon for the industry as a whole. Between 1994 and 2008, the last time it was assessed, the value of the halibut catch along Alaska's coast increased from $150 million to $245 million. But there have been 'unintended consequences,' to use the words of the Pew Environment Group, a supporter of the quota system. The fishing rights were supposed to stay in villages like Kake, a rural Alaskan outpost built on fishing. Instead, economic hardship and a spike in fuel prices has seen nearly 80 percent of Kake rights-holders sell to fishermen in larger towns and a dwindling local catch. Last year, Kake's share of the halibut catch dwindled to 64,053 pounds, from 277,256 pounds when the program began. Now that private fishing rights — "catch-share" — have been established in 14 other U.S. fisheries, reformers are trying to blaze a trail of reform by creating nonprofits and setting up investment funds for rural communities. 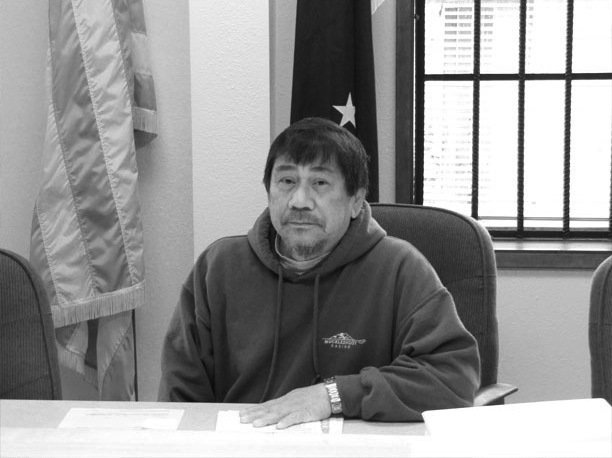 And in Kake, Mayor Kadake is trying to bring the fish back to town. Editor's note: Special thanks to the Fund for Investigative Journalism for underwriting the reporting costs for this story. Our 2012 collaboration with EarthFix and Oregon Public Broadcasting, "Clean Water: The Next Act" earned a special recognition citation from the Knight-Risser Prize for Western Environmental Journalism committee. The top prize went to the Sacramento Bee for its outstanding reporting on the killing of millions of predators and other animals by a little-known agency inside the U.S. Department of Agriculture. The Knight-Risser prize places a premium on stories that expose undiscovered or covered-up problems, explain complex solutions in ways that can be put to use, and help readers understand the broader significance of the issues, beyond the immediate details of the stories at hand. In announcing the prize, the Knight-Risser judges commended "Clean Water: The Next Act" for its "innovative uses of text, video and audio to give people wide access to information about the state of U.S. rivers, lakes, and bays since passage of the federal Clean Water Act 40 years ago." End of the Line is a ongoing series by InvestigateWest asking what happens when teens get too old for foster care in Washington State. Our latest story, a collaboraiton with KUOW, looks at why getting teens enrolled in Washington's new extended foster care program can be tricky. In our continuing Exhausted at School investigation with KING 5, Chris Ingalls visits Todd Beamer High in Federal Way and talks with one of the scientists who helped push for California's more stringent law restricting new school construction near freeways.